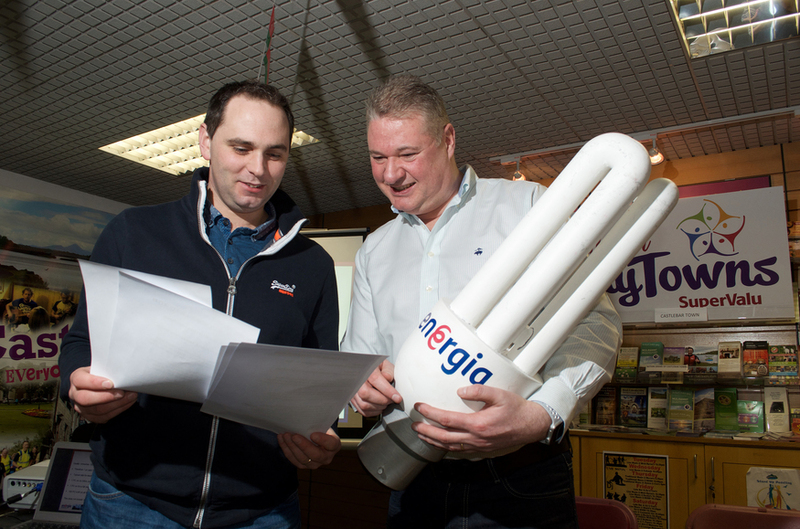 23rd January 2016 - Businesses from Castlebar have been finding out about the latest ways to cut their energy costs at a special energy efficiency briefing held by competitive energy provider Energia. 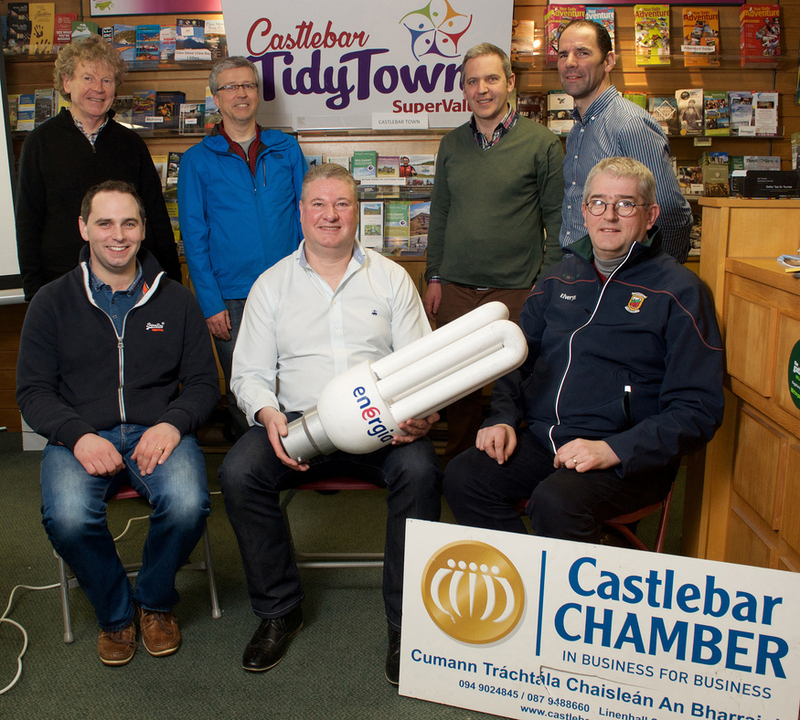 The meeting was hosted by Castlebar Tidy Towns Committee, Castlebar Chamber of Commerce and Mayo County Council. 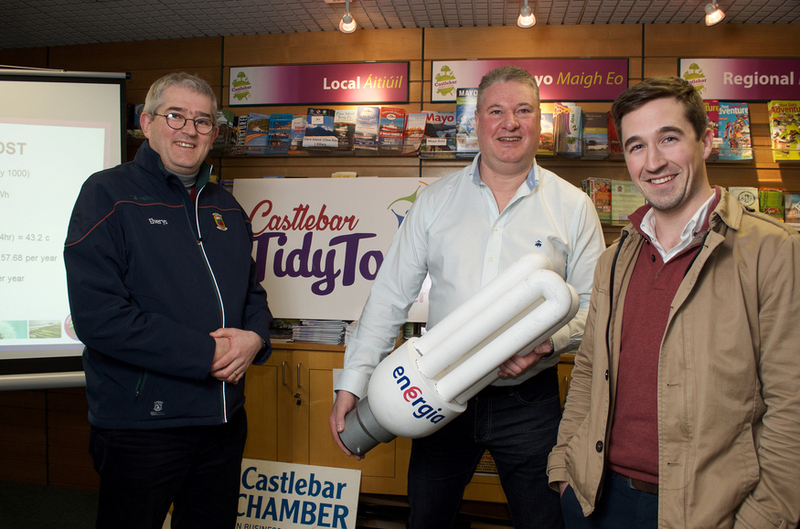 Michael Baynes, PJ Henry and David Gallagher at the Energia workshop with Castlebar Tidy Towns and Castlebar Chamber. Photo: Alison Laredo. The purpose of this training is to help companies develop and implement their own energy management systems, helping them to cut their energy bills and CO2 emissions by up to 20%. Alan Mee, PJ Henry and Eamon Fahy at the Energia workshop with Castlebar Tidy Towns and Castlebar Chamber. Photo: Alison Laredo. Michael Baynes, Co-ordinator and Tourism Officer said, "We're thrilled to get this briefing from Energia. We didn't realise that there are lots of really straightforward energy efficiency steps that all organisations in Castlebar can take to increase their sustainability and cut their costs." Lorraine White, Energy Services Co-ordinator, Energia commented: "Our briefing covered a number of areas including: why reduce energy usage; EU and Irish energy reduction requirements; how to read your electricity bill and compare various suppliers for best value; how to carry put an energy audit of your business; an overview of best practice technology available and; the availability of energy grants." John Page and PJ Henry at the Energia workshop with Castlebar Tidy Towns and Castlebar Chamber. Photo: Alison Laredo. "Energia has developed considerable expertise in the area of energy efficiency training. We have helped to boost many businesses' competitiveness by giving them the knowledge and tools that help them save money by reducing their energy consumption." "There are also valuable environmental benefits - by reducing their usage by 10% or more, each company will significantly reduce their annual CO2 emissions." "We also support businesses through innovative energy programmes like Energia's ‘Cash for Kilowatts' scheme that provides grant funding to companies that are Energia customers for energy efficiency projects. It means that any Energia customer carrying out an energy efficiency project can apply for grant funding based on the amount of energy they save." •	Refrigeration: new systems can reduce your costs by up to 30%." 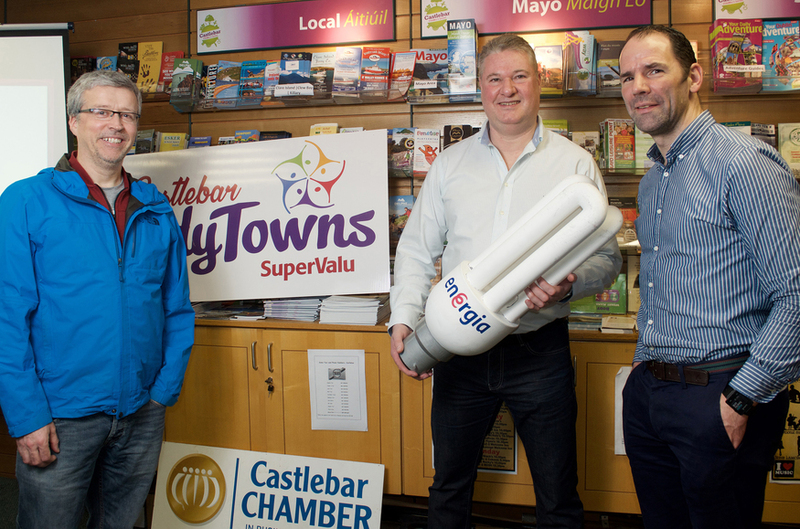 Tony Tighe, Fahey’s Gifts, Alan Mee, Castlebar Tidy Towns, John Page, Supervalu, Eamon Fahy, Easons, Michael Baynes, Castlebar Chamber, Ger Deere, Taoiseach’s Office, with PJ Henry, Facilitator at the Energia workshop with Castlebar Tidy Towns and Castlebar Chamber. Photo: Alison Laredo.